It is a good idea to organise reliable transport, especially in Rome to make sure you get to the church on time and safely. After the church, it is nice to be able to get to the sites for photos, and of course a good looking car is always nice to include in your wedding pictures. I always recommend Tony www.tonyromedriver.com. 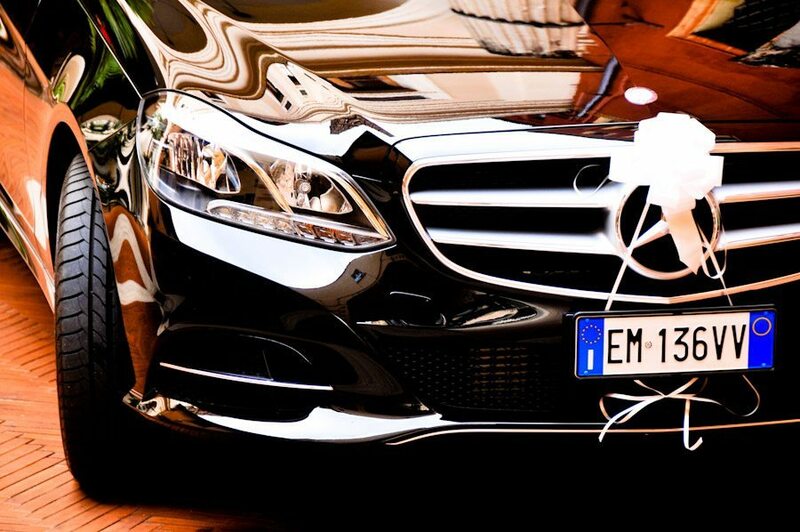 If you want to kick off your stay in Rome in style Tony also offers a very good transport service to and from the Rome airports, he also has a mini van and bus for those who wish to organise transport for their guests. Last summer the classic Fiat Cinquecento was very popular and for me, despite the fact it was a squash and a squeeze, it was always a laugh! It is a very cute car and gets a lot of attention. I have fallen in love with it and Andrea who is a crazy man but also very safe, and he knows a lot of short cuts around Rome! You can contact him through his website http://www.italianvintagegarage.com/. The only car I am not too mad about is a big Rolls Royce as it is a bit too big and slow getting around the city and I think it is more suited to a country wedding.